NFL has started and school is back in session–that means that the last of summer is here. If you want to conquer the upcoming fall season, you need a warm, reliable and stylish sidekick. 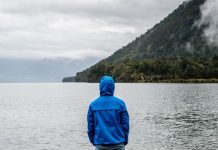 The right hooded sweatshirt is a no-brainer–grab it, throw it on and you’re ready to face the sidelines, backyard or the job site. We’re highlighting our top 5 picks for the season. 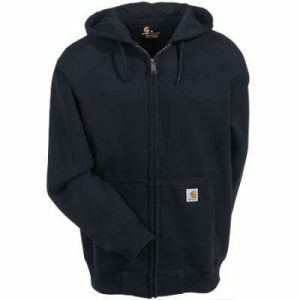 Our Carhartt 100614 001 Men’s Black Paxton Heavyweight Cotton Blend Zip-Front Hoodie Sweatshirt will give you the right amount of warmth and protection for all the fall activities you might get roped into–like carving a pumpkin or taking someone’s Instagram photo on a hay bail (it happens to the best of us). The cotton/polyester blend makes it soft yet resilient. It’s also a low-maintenance piece that’s quick-drying and wrinkle-resistant so you’ll grab it again and again. This hoodie is tough enough to stand up on the clock too with the Carhartt Rain Defender finish that blocks moisture–keeping you dry for longer. The jersey liner gives you extra durability and insulation. Its main seams are triple-stitched for longevity. And the 3-piece attached hood with drawcord will fit comfortably over your hard hat. Features like the Spandex-reinforced waistband and rib-knit cuffs, antique-brass front zipper and two front hand-warmer pockets will give you a secure and warm fit all season long. 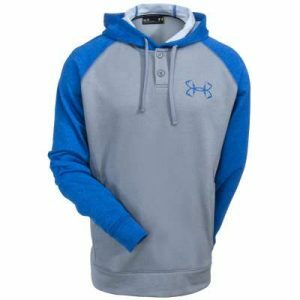 Wear this Under Armour Shoreline 1290741 026 Men’s Grey Heather Fishing Hoodie and you’re quite literally ready for action. Its light and comfortable polyester, French Terry fabric has a loose fit that’ll keep you cool. The signature UA Moisture Transport System wicks sweat away from your skin and evaporates it quickly. Not many hoodies give you this versatile, two-button collar design which offers plenty of layering options. Keep the buttons open and wear a collared shirt underneath for a more polished look or keep it simple with your favorite T-shirt as your base. The heather gray and light blue color combination make it a great piece to pair with khakis or jeans. The hand pockets are displayed subtly in the side seams. And the attached hood comes with an adjustable drawstring to give you a custom fit. 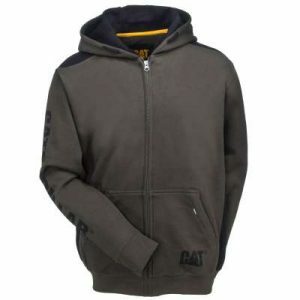 The CAT brand is known for being tough and this CAT Apparel 1910803 10639 Men’s Army Moss Green Logo Panel Full-Zip Sweatshirt is no exception. It’s designed for guys who have a job to do–whether it’s raking leaves or working construction. CAT’s exclusive S3 cord management system keeps the hood’s drawstrings tucked inside a fabric channel so they won’t catch on machinery or anything else while you work. In the pocket, there’s a cell phone pouch with a Velcro closure and a wire management channel, to hold your phone and headphones. Comfort and warmth are two requirements for any reliable hoodie and this sweatshirt aces both tests. Its heavy duty cotton/polyester fleece blend makes the fabric soft but doesn’t weigh you down. The cuffs and waistband have a Spandex ribbed trim to create a custom fit that blocks out the cold. The durable front metal zipper closure, hood and front handwarmer pocket give you even more cool weather protection. This Arborwear Men’s 400240 103 Double Thick Green Pullover Fleece Sweatshirt is all about mastering the basics. 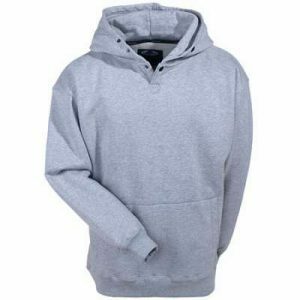 Its simple, pullover style and gray color give it a classic look. 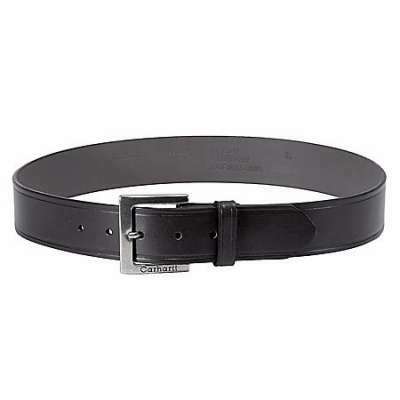 The snap closures at the neck along with the cuffed wrists and waistband give it quality detailing that sets it apart. It’s perfect for the job site too with gusseted armpits for a wide range of movement and an oversized hood to fit over your hard hat. On cold days, you’ll appreciate the two layers of thick, 12-ounce 100% pre-shrunk cotton fleece and recessed front handwarmer. 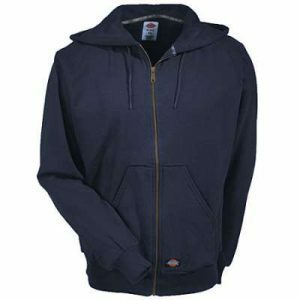 This Dickies TW382 DN Men’s Dark Navy Thermal Lined Fleece Zip-Up Sweatshirt is a resilient, quality piece that gives you comfort and warmth. The interior liner is made from thermal knit cotton and polyester and the outer shell is a combination of fleece, cotton, and polyester. This winning collaboration of materials gives you a soft but durable addition to your fall wardrobe. Thermal-lined pockets, a drawstring hood, and a durable front zipper will help block the cold. The Dickies logo on the left pocket gives this navy hoodie a subtle edge that makes it perfect to wear on or off the job. 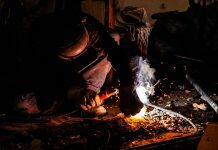 Find all of these styles and dozens of others at WorkingPerson.com. 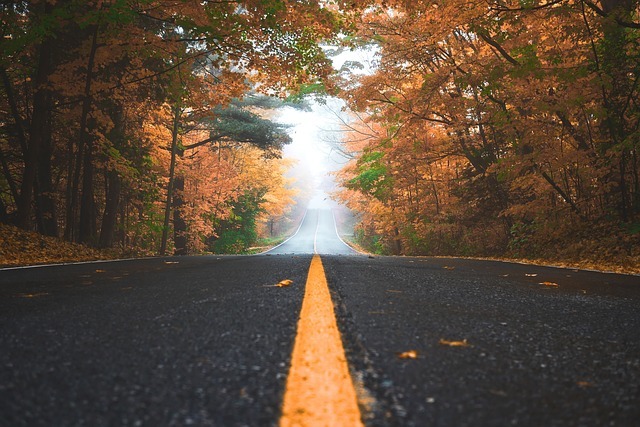 What’s your favorite go-to fall gear? Let us know in the comments below.